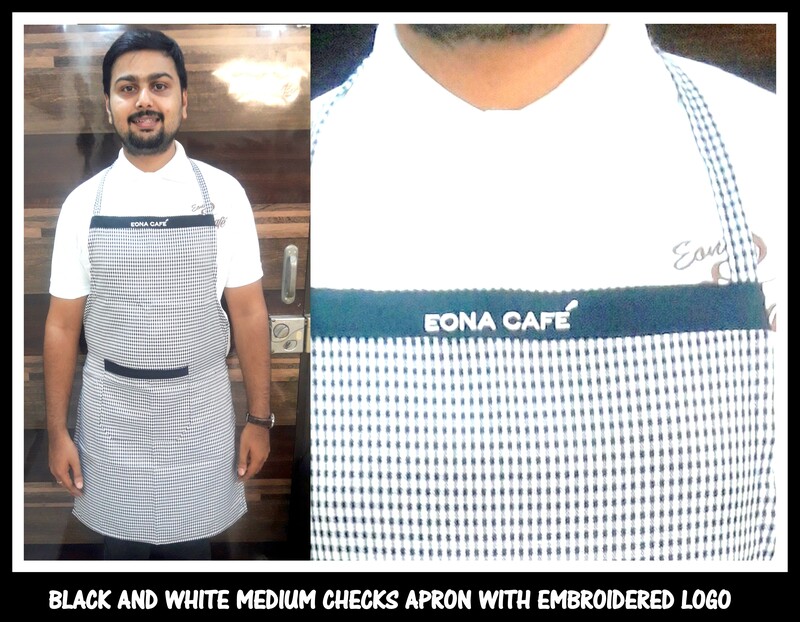 Uniform Aprons in Chennai !! Aprons in ten different designs are readily available at RSM Uniforms. These aprons are made from poly viscose cloth and are available in combos of full apron, half service apron and Chef caps. For your requirement of Aprons in full, half or chef caps call us now. Glad to assist you. Call us now at 044 4861 3043.